Consumer thirst for rare whisky stocks, a resurgence in the domestic market and a hit television series have contributed to “unconstrained demand” for Japanese whisky. SB speaks to leading brands on how they are managing capacity limitations. Before 2008, Japanese whisky was barely known outside of its home country. The industry was dependent on domestic sales, which had collapsed from a post-World War II high of 225 million bottles a year to just 50m. Distilleries were shut, mothballed or reduced to working a short week. But in less than a decade, a category that accounts for around 5% of global whisky sales has caught fire at home and abroad. Today, there’s a raging thirst for Japanese whisky, and distillers are struggling to quench it. “The Suntory guys call it ‘excessive demand’ rather than a shortage,” says drinks writer Dave Broom, whose latest book, The Way of Whisky – A journey around Japanese whisky, was published in the autumn. “The thing that changed it, and precipitated the stock shortage, was that the domestic market suddenly woke up, and everyone wanted whisky again.” The vast majority of Japanese whisky never leaves Japan, with the leading player, Suntory, reporting that exports accounted for roughly 4% of its total sales by volume in 2016. 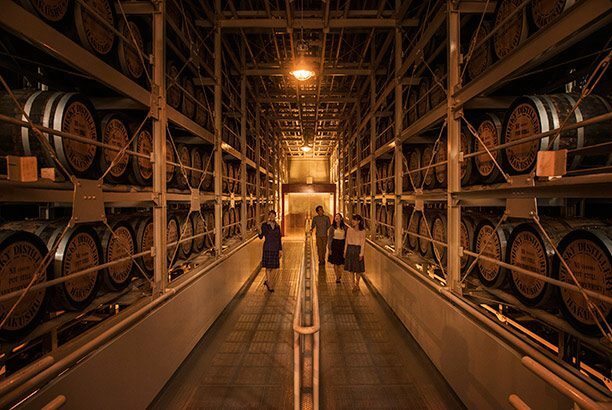 Japan is much bigger than foreign markets.” Nikka, which is owned by Asahi Breweries, has been criticised for draining its warehouses to satisfy the domestic Highball craze, and seemingly neglecting to retain casks for future aged bottlings. One industry insider, who prefers to remain anonymous, disagrees, saying: “Whisky enthusiasts are pro age-statements because they mean something, whereas NAS is just a liquid that might be good, bad or indifferent. And with no transparency, cynicism and suspicion kick in.” He also points to the dearth of Japanese whiskies in the country’s airports as proof of the industry’s current inability to satisfy demand. Yet the two big players have been investing to increase production – by ¥20 billion (US$176m) in the case of Suntory and ¥6bn for Nikka, according to a recent Nikkei report. 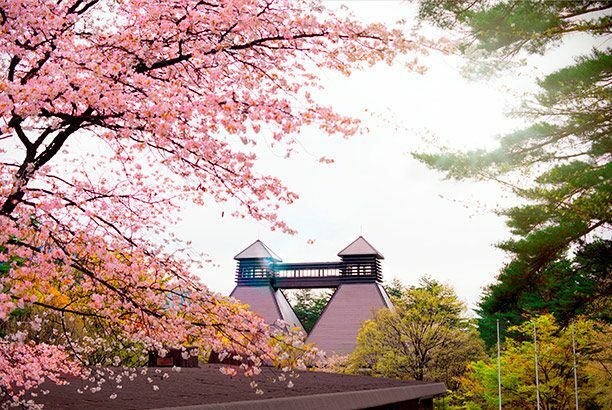 A Suntory spokesperson confirms that since 2013, the company has added more pot stills at Yamazaki and Hakushu, while expanding its Ohmi ageing cellar. For Marcin Miller, Croll’s partner in The Kyoto Distillery, the 2014 creation of Beam Suntory was a real “statement of intent” for exports. “Beam is a worldwide distiller, it’s big in the US and it’s very strong in travel retail,” he says. Suntory’s brand ambassador, Yo Tang, talks of “leveraging Beam’s global distribution, but still under that tight allocation”. He adds: “We’ve still been focusing on our selective markets.” By this he means the US, the UK, France, Singapore and China. Quoting Nielsen in the US, Lucas Erickson, Beam Suntory’s senior director of North American, Scotch and Japanese whisky, says: “Japanese whisky is up over 40% in volume in 2017 alone, a figure that does not even begin to represent the true unconstrained demand for the whisky today.” To help quench America’s thirst, Suntory recently released its Toki blend. Retailing for around US$50, its sales have been “exceeding even our own lofty expectations”, enthuses Erickson. 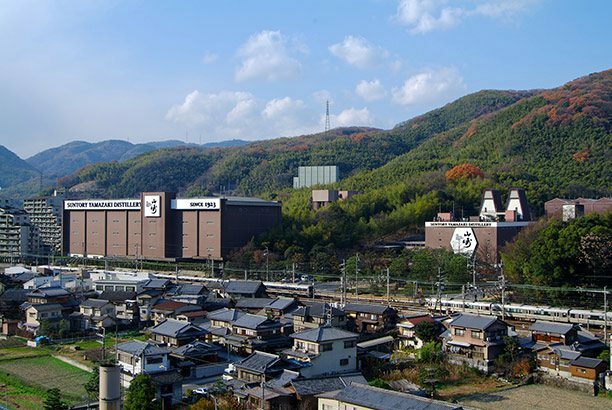 Meanwhile, production of Suntory’s aged malts – whose numerous accolades since 2003 put Japanese whisky back on the map and gave distillers the confidence to export – will continue, insists Tang. Younger blends and grain whiskies such as Suntory’s The Chita, are essential to keep the category accessible in terms of availability and price, and prevent it from becoming a victim of its own success. “There is a danger of that,” says David Croll, “but it really depends on the attention span and patience of the consumer.” At the last count there were 18 whisky distilleries in Japan, although most of the new entrants are small and have barely begun to think of exports. That said, enterprising foreign drinks companies have been busy signing distribution deals. Fraternity Spirits, best known for its Tequila Corralejo brand, has started importing various blends, such as Enso and Kensei, produced by Japanese whisky blender Kiyokawa. Overall volumes are boosted by the flood of Scottish and Canadian bulk whisky into Japan. The total from Scotland, including malt, grain and bulk blends, hit 3.8m litres of pure alcohol in 2016, up by a third on the previous year, according to the SWA. The bulk imports help pad out cheap domestic blends, but some of it is being re-exported and marketed as an exalted product by unscrupulous operators. Miller says: “People are bringing Canadian whisky into Japan, bottling it as 18-year-old Japanese whisky and making a killing.” Broom believes the issue poses a bigger risk to the category than the shortage of stock. In 2016, Miller told The Spirits Business: “There’s a thirst for premium Japanese spirits, but I don’t think people are necessarily going to hang around waiting for whiskies to mature.” If he and Croll have really hit the jackpot with their Ki No Bi Kyoto Dry Gin, perhaps the future of the Japanese spirits industry isn’t as reliant on whisky as some believe.